Investor bad habits can destroy the viability of a very good investment as quickly as a bad investment can destroy a successful savings plan. These really are the inverse of good habits. We are all human, wanting to better ourselves but getting caught up in hype and the busy day to day lives. There are certain styles of investors whom constantly chase yields, moving funds from investment to investment. The issue with this is past performance is not an indication of future performance. So in the rush to make as much money as possible they might be moving from the next upcoming brilliance into the bottomless pit. If someone promises that you are going to make millions easily an old proverb comes to mind “if it’s too good to be true, it probably is”. Going for investments that offer the best top dollar can often lead to misery. Should you follow your head or your heart? Well, in investments there is really only one answer, your head. If you are looking at making money, you need to see things from a realistic point of view not in the line of how you can help your most dearest. Not reviewing your investments on a regular basis would put you at a disadvantage and your investments could get very out of balance. For example, you may wish to increase your holdings in Australian shares, when the market is doing exceptionally well, from 40% to 60%. In contrast, you may wish to reduce your holdings if the market is not performing as well as expected and reinvest your money into better performing funds. These critical decisions require your consistent attention and a lack of of diligence may result in losses. Adopting the passive investment approach is definitely not recommended. We all want everything to happen at once. Especially the new generations, and I am no exception. We want to have the same style of house our parents are in, we want to be retiring as soon as possible and the list goes on. This tends to influence our behavior so that we are not making good investment decisions. If you are impatient it may mean you bite off more than you can chew. If you keep away from these types of behaviors you will achieve your goals. 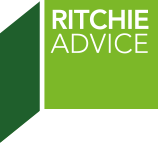 If you wish to obtain advice on your investment plan or have any questions regarding this please give the staff at Ritchie Advice a call we would be more than happy to help. ‹ What are you going to do in Retirement?